Rainmaker Entertainment and Blockade Entertainment have announced the cast for the upcoming Ratchet & Clank film set for theatrical release next year. 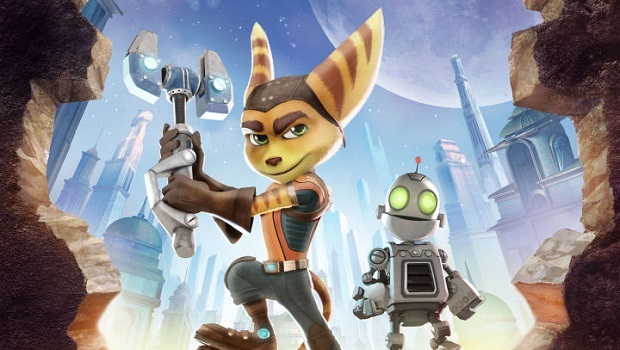 IGN reports that the voice actors for Ratchet, Clank, Captain Quark, and Nefarious will be reprising their roles in the film, and joining the stars of the PlayStation series are stars such as Paul Giamatti as Chairman Drek; John Goodman as Grimroth; Bella Thorne as Cora; Rosario Dawson as Elaris; and Sylvester Stallone as Victor. The Ratchet & Clank film was originally slated for release later this year, but has been pushed into 2016. This isn’t the only PlayStation franchise currently being adapted for film, as movies based on Sly Cooper and Uncharted coming are both next year.